I'm so excited to reveal my dorm today with you all, because the process of designing, decorating, and executing my dorm room has been a long time coming, and I am so happy with how it turned out! I plan to do another post on how I organize my wardrobe and desk with you all, so for now I'm just sharing my bed and nightstand. Products are tagged below the photos to shop! I apologize in advance for the lighting/filters on my photos. The lighting in my room is horrible, so I really struggled with editing these photos! Hopefully you get the gist of the look I was going for though. I was originally really worried about having the side of the room with the shelves, but I have come to love the way it looks to have my pillow and matching storage bins all on display. 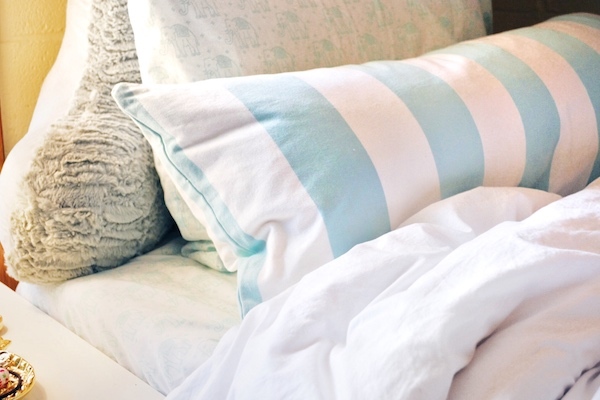 In fact, both the pillow and bins were gifted to me by the Annie Selke brands, and I am seriously obsessed with how they pull together the look of the whole room. I really feel like without them, the mint elephant sheets and mint string lights would be so out of place!! My roommate did different bedding, but overall our whole room is black/white/grey with mint as our accent color. I know I've also shared my rug a million times, but you can find that here if you want to check it out! It's a little random having a hot pink rug, but I really love it and I think it's so, so cute. 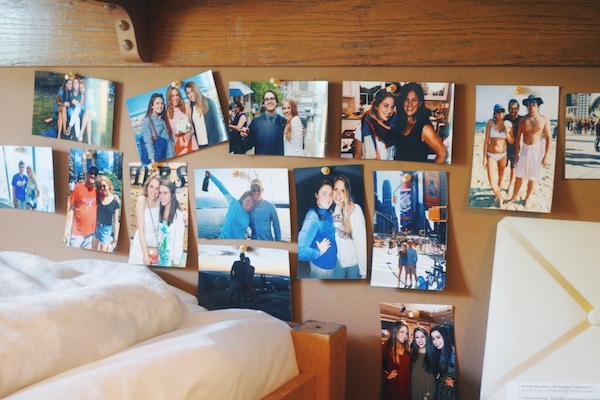 What does your dorm look like if you're in one?! I would love to see! 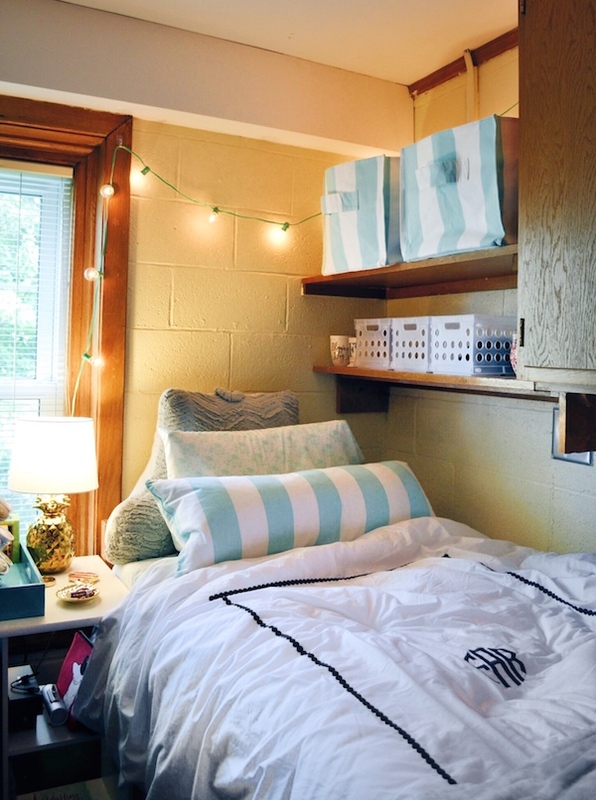 Cute dorm room! Love the lights. I did the same my freshman year! It looks so cute and cozy! It also matches your blog perfectly! Hope you're having a great freshman year! I love the decoration! It looks much more like a home than a dorm. 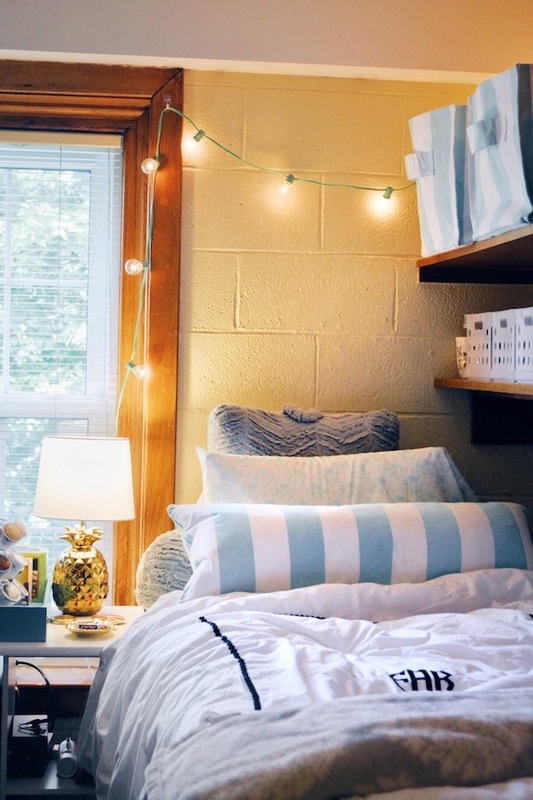 This is such a cute dorm room! I love the color scheme you chose. 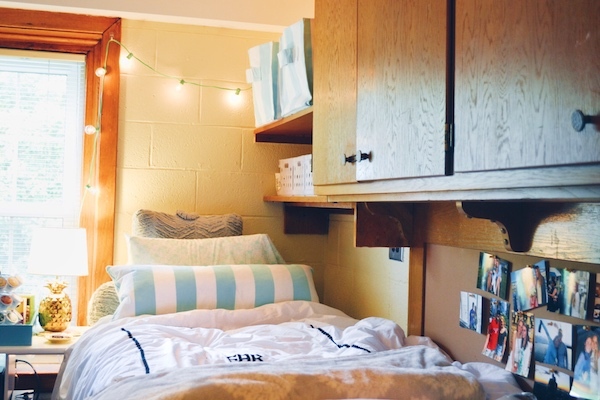 Your dorm is so cute, Frannie! Love it! 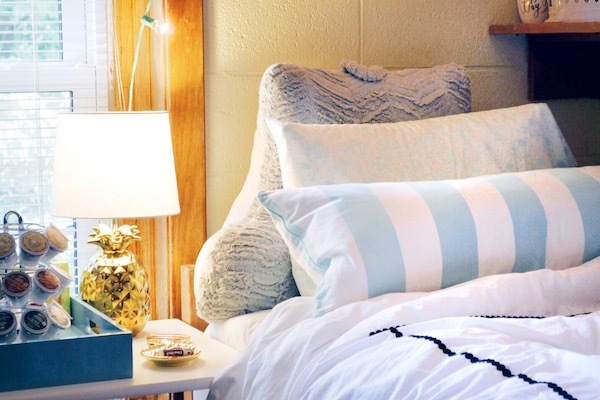 Your dorm room looks great, it looks so classy! Love the blue and white stripes and the lights! Your room is adorable. 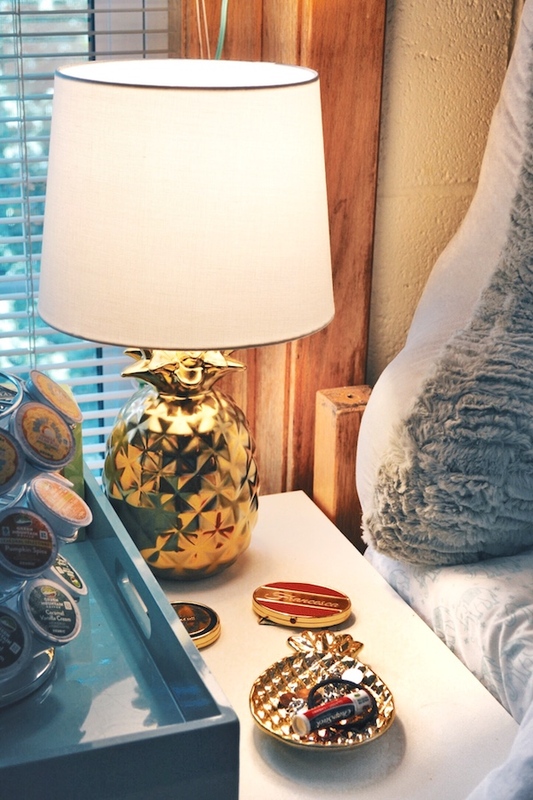 I love the pineapple lamp. By the time I went to get mine in August, Target was sold out! Do not worry about the budget. Paint is a resourceful way that can add magic to your home without creating a financial burden on you.